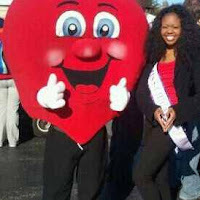 5 Questions with Miss Chicago International 2013 Charlene Rhinehart! There is a quote that states, “If your ship doesn’t come in, swim out to it.” Charlene Rhinehart is the type of person that isn’t afraid of making that swim, and in fact, is motivated enough to do so with a smile on her face. The professional cheerleader and beauty queen is determined to continue living her dreams, and inspiring others to look out for their ships as well (no matter the waters or the harbor). This week, 5 Questions digs a bit deeper into the life of Charlene, to find out the source of her motivation as she strives for the title of Miss Illinois International 2013. 1) What sparked your interest in pageants and how did you break into the industry? After accomplishing my goal of becoming a CPA, I wanted to push myself even further with a unique personal development opportunity — pageantry! The journey of becoming a CPA not only made me a “queen of numbers”, but this challenge gave me confidence in my abilities to accomplish ANY goal that I wanted to pursue. It’s amazing how when you accomplish what once seemed impossible, everything else in your life suddenly becomes possible. With a supporting cast of mentors and a passion for service leading the way, I was ready to walk a nontraditional path and explore the possibilities of pageantry! 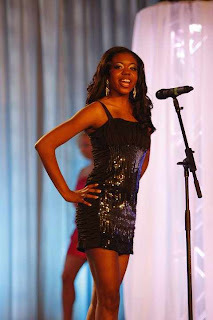 2) What have you learned over your years in pageants (can be competition related or not)? Wow, what haven’t I learned from competing in pageants? Every step that you take in a direction in which you have never been before strengthens your capacity for growth and leadership. You realize that you are stronger than you thought you were, and become more comfortable being uncomfortable. You become more of the amazing person you were created to be and that is the greatest gift that you can unwrap as a pageant contestant. I have learned to trust my instincts, believe in my potential, and to always have a success team by my side because teamwork will make any compelling dream work! Consistent process makes progress! My accountability partner shared those words with me after explaining that there was no shortcut to success. He revealed a powerful 10 -letter word that I would need to take on my journey if I wanted to succeed in pageantry and in life – commitment! Lack of commitment causes many to miss out on their dreams and most times you may have only been one step away. When you learn how to be committed to your goals and be consistent in your process, you learn how not to give up when things get tough in life. Young women who are competing for the crown really need to define their “why” because this is what will sustain them before and after the results of the pageant are announced. Only one will walk away with the crown but everyone will leave with an experience that will last a lifetime. If you had the courage to compete, pushed yourself passed your comforts, and impacted the lives of individuals and organizations on your journey, you are a winner! Instead of leaving the pageant discouraged by the results of a one-night competition, you should be encouraged by the person you have become and the power that you have to make a difference. 4) What has been the weirdest moment for you while crowned or competing? I will never forget the moment during my first pageant when the top 19 contestants were being announced. I was excited and eager to hear the two words “Charlene Rhinehart” and was mentally preparing to walk to the front of the stage to be recognized. 18 contestants had been announced and there was one more name to be called. “And our last contestant who will move on to the second round of competition is Char…………(My heart was dancing uncontrollably from the excitement)…………..de. WOW! My heart stopped but my smile shined even brighter because I knew that one day my moment will come! My self-imposed barriers have been removed and I see no limits! I am truly excited about the explosive blessings and opportunities that I have been given and I know that the days ahead are even greater! Right now, I’m aiming for Miss International! It’s an ambitious goal and invigorating challenge that motivates me each and every day because this dream is greater than me. I am currently volunteering and serving as a spokesperson for organizations such as the American Heart Association and Spirit of Beauty. When I’m not delivering words of inspiration around the state of Illinois, you can find me promoting a heart healthy lifestyle through Zumba fitness instruction or researching ways to enhance my intellectual prowess with a hot new certification.